27106 & D5325, Aviemore, Thurs 28 May 2015. 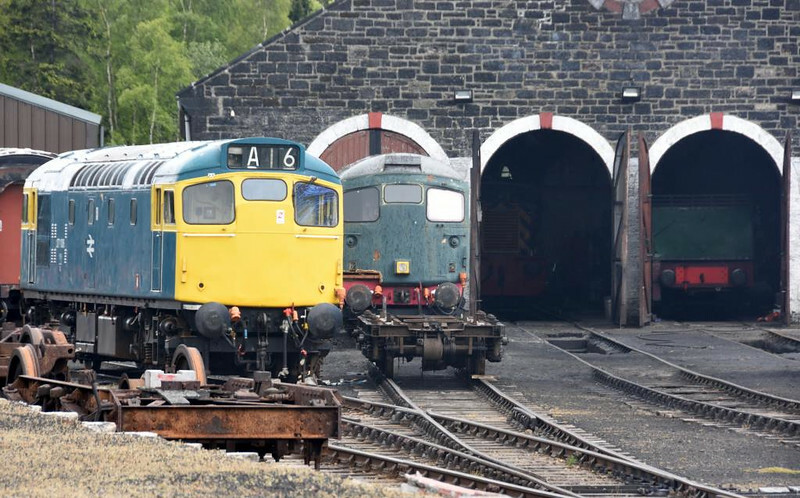 Just visible in the former Highland Rly shed are D2774 and an unidentified Austerity 0-6-0ST. The Strathspey Rly occupies part of the Highland line from Aviemore to Forres, closed in 1965.